Photographer's Guide to SEO and Social Media. Sometimes the results are what we hoped for, and we pat ourselves on the back, and think how clever we are. Sometimes, despite all out best efforts, the old googles kick our superbly optimized page to the bottom of page 11 on their results; this really hurts when you see some trashy, 1993-styled geocities looking webpage showing up on the first page of rankings. So, we turn to Social Media; If you can’t get to page 1 on google search results, maybe you’ll just bypass all that and get a gazillion Plus Ones on your site; that’s gunna count for something. So we schmooze and kiss a$$ and sell what’s left of our souls on Google Plus and facebook, telling everyone how much we love what they do and how wonderful the “community” is. And we finally get another person add us to their Google Circle. The single best SEO advice, and best Social Networking effort you, as a photographer, can invest in is to go outside and take photos. Repeat. 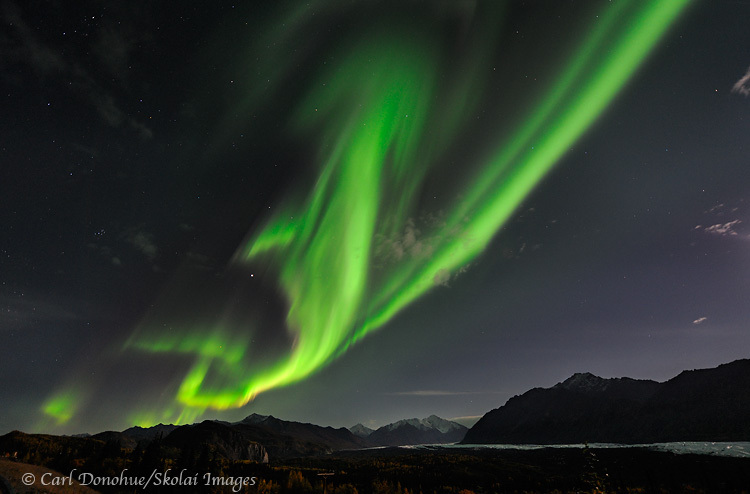 Northern lights, Chugach Mountains, Glenn Highway, Alaska. Right on Carl! Great images will draw traffic, given time the cream usually rises to the top. Well said, Carl! You’re right…the images will speak for themselves with time. Spot On, Carl! Sharing is good – having something good to share, even better! This is great Carl. Though some seem to make a name for themselves by being “social” with sub-standard images, compelling work is usually what is going to get you links, +1’s, etc… more importantly business, as long as you push it out there. We are photographers first and foremost! Best SEO advice ever. SEO, otherwise known as Seek Enjoyment Outside. This stuff will make you crazy otherwise. Thanks Carl. Good article and very true. Social media can be very addictive. As of late, I’ve been trying to “limit” my time on twitter, FB, flickr, etc. & spend more time out in the field learning my craft and producing work. and since the last Panda update we really don’t have to worry about SEO anymore – how great is that to find spammy sites as #1 for “eagle pictures” a page with not a single picture on?? Since that I know for sure, go outside and shoot, or at least stay inside and get some of those 5000000000..images ready in the lab. Great article Carl – yes, you nailed it 100%. Thanks all; I appreciate the comments. @Rolf Hicker: Panda seems to have really gotten weird on some searches for sure. Some real head scratchers out there. Hi Carl, you forgot to mention leaving a lot of comments on fellow photography sites! Google Panda was a bit weird, dropped my PR from 6 to 4 somehow, not sure how that actually affects the listings. Anyway, no more time for pondering, I need to go out and shoot. Cheers!